Our 10 x 10 tent rentals are available for delivery or customer pickup. 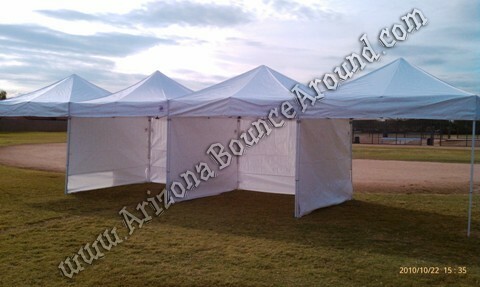 Add side walls, dividers or back walls for vendor tents of trade show booths. 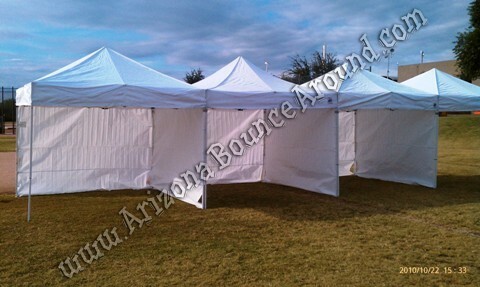 We anchor these tents with 10" stakes included in the price. Hard surface setup will add $20 for sand bag rentals per tent.